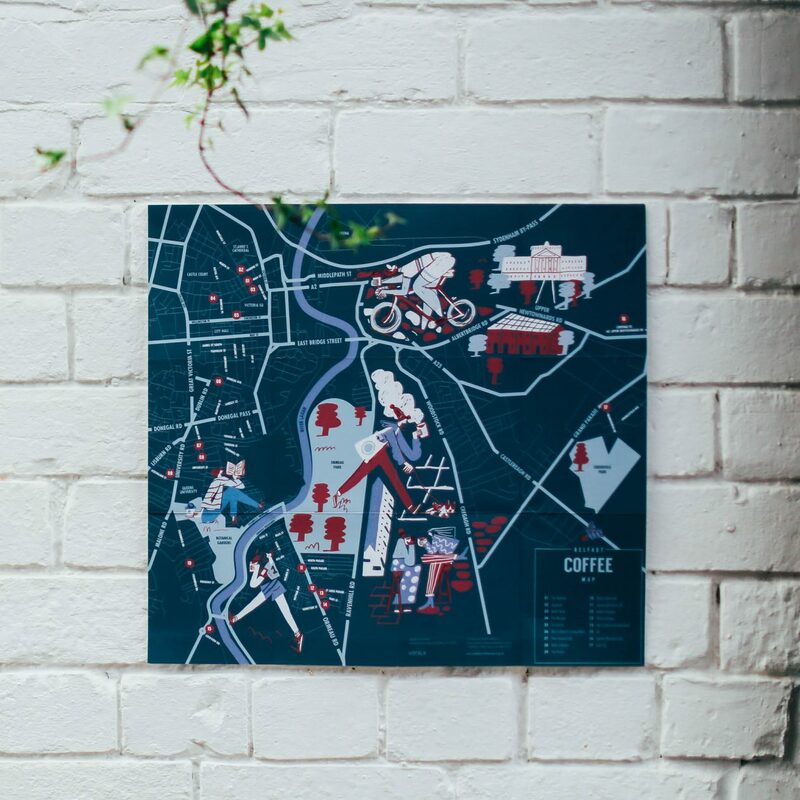 Belfast Coffee Map is the brainchild of Gareth Patterson. 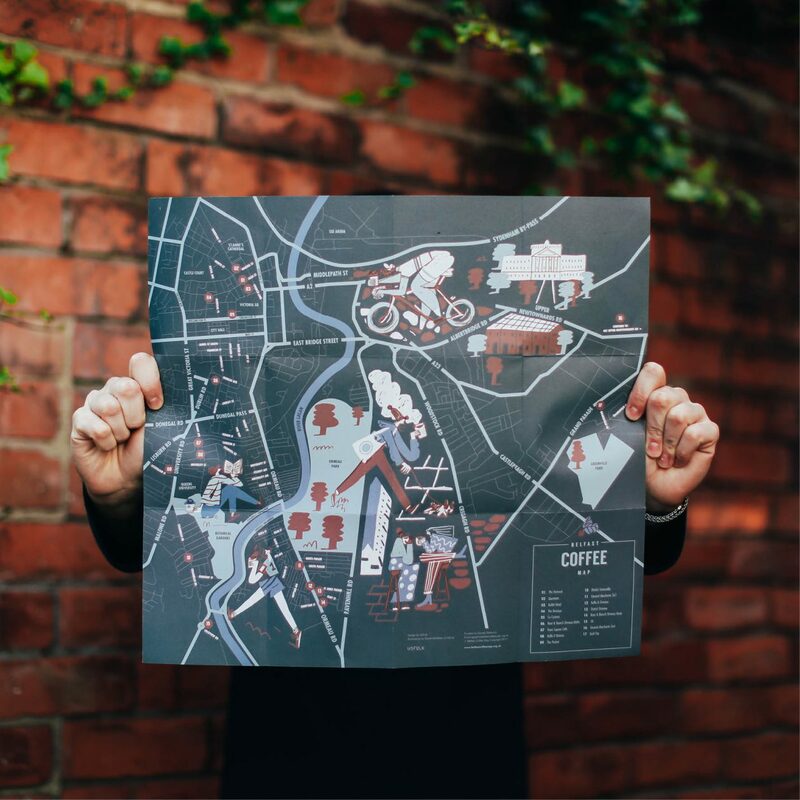 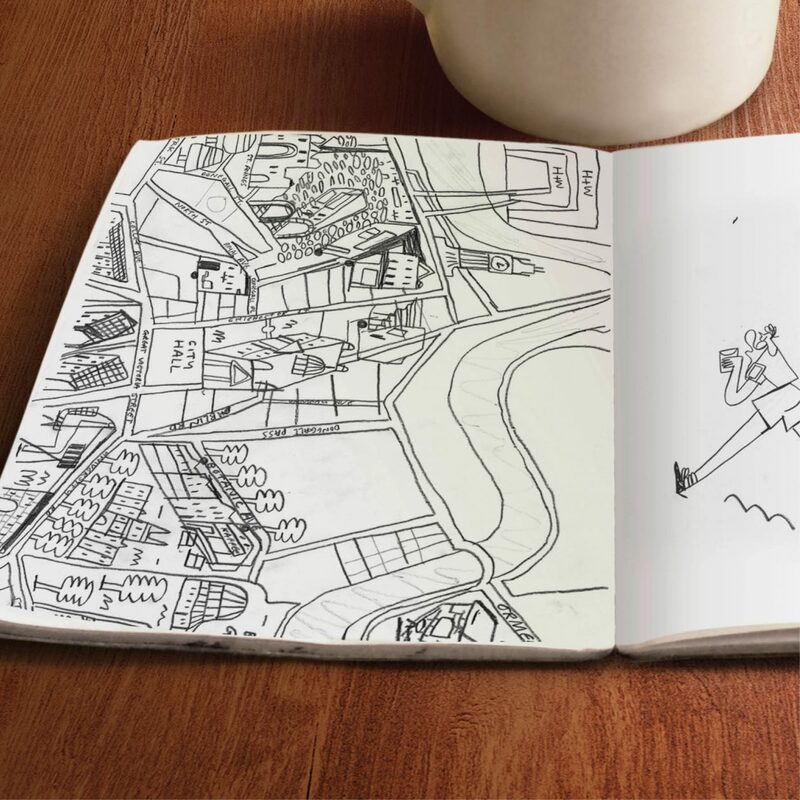 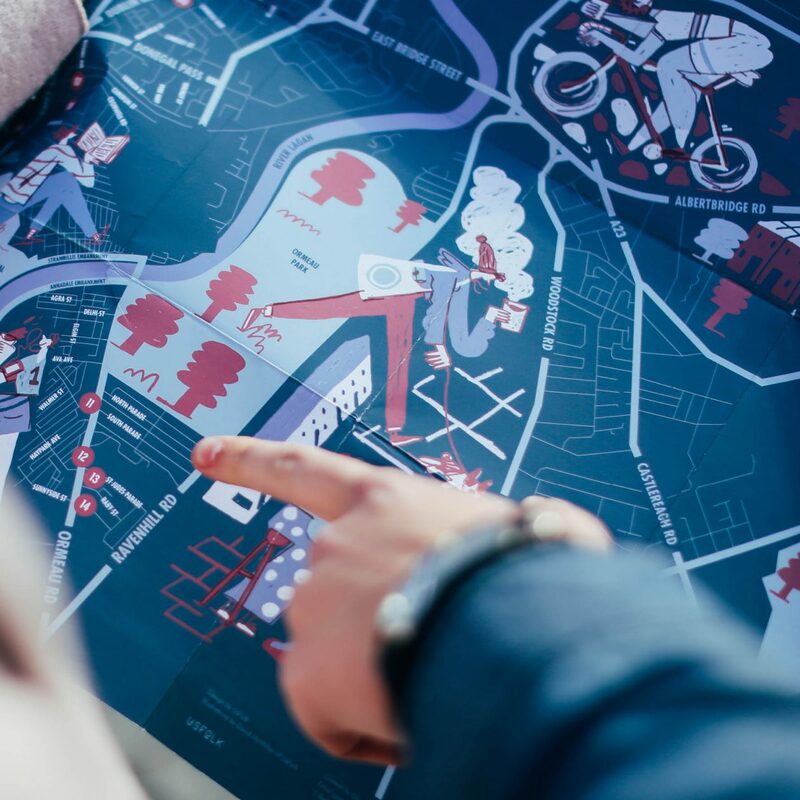 Gareth was inspired by his travels where he fell in love with Coffee maps of some of his favourite cities. 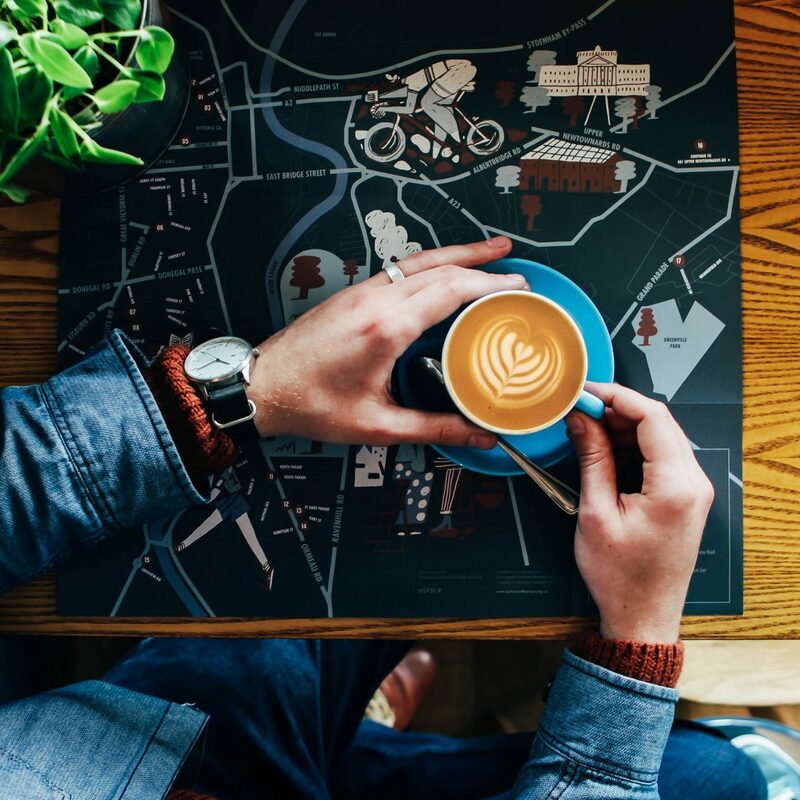 Turns out it was perfect timing for Belfast, as speciality coffee houses are popping up all across the city. 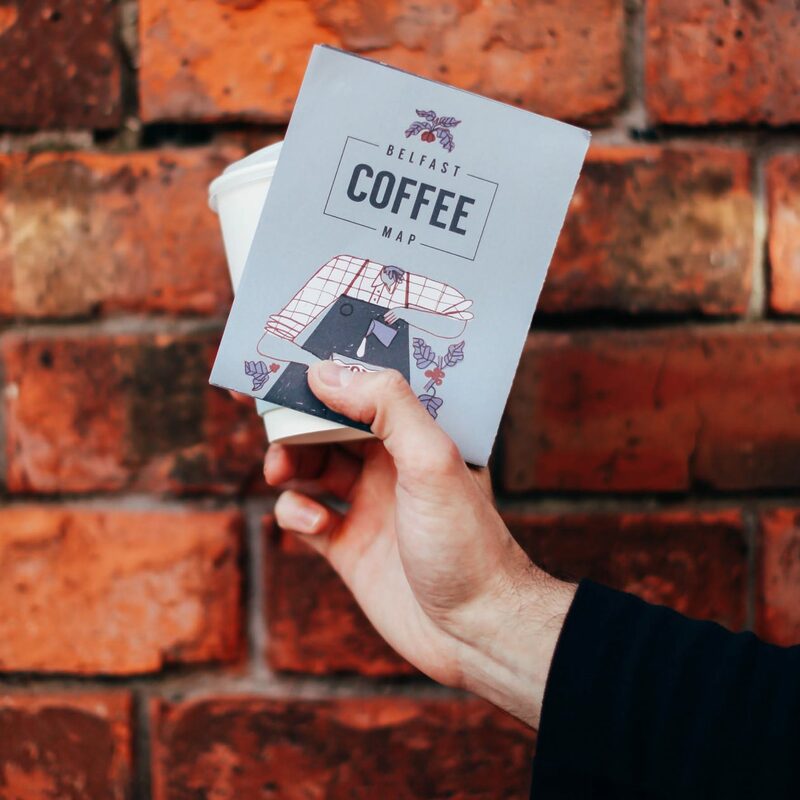 UsFolk Illustrator and coffee connoisseur David McMillan was tasked with bringing Belfast’s coffee culture to life. 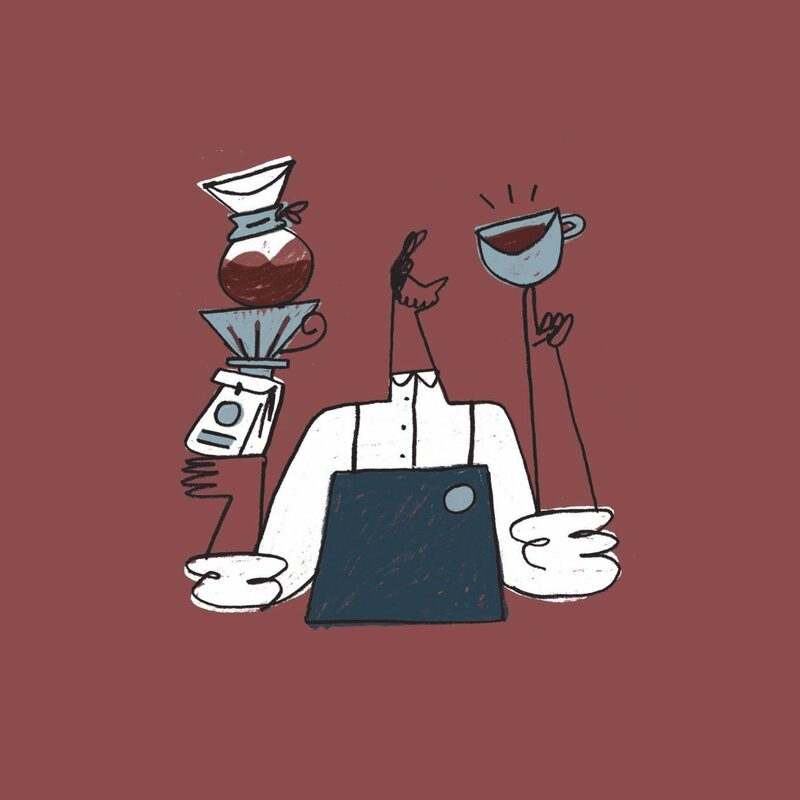 David’s contemporary style evoke the unique ethos of these establishments and the characters they attract. 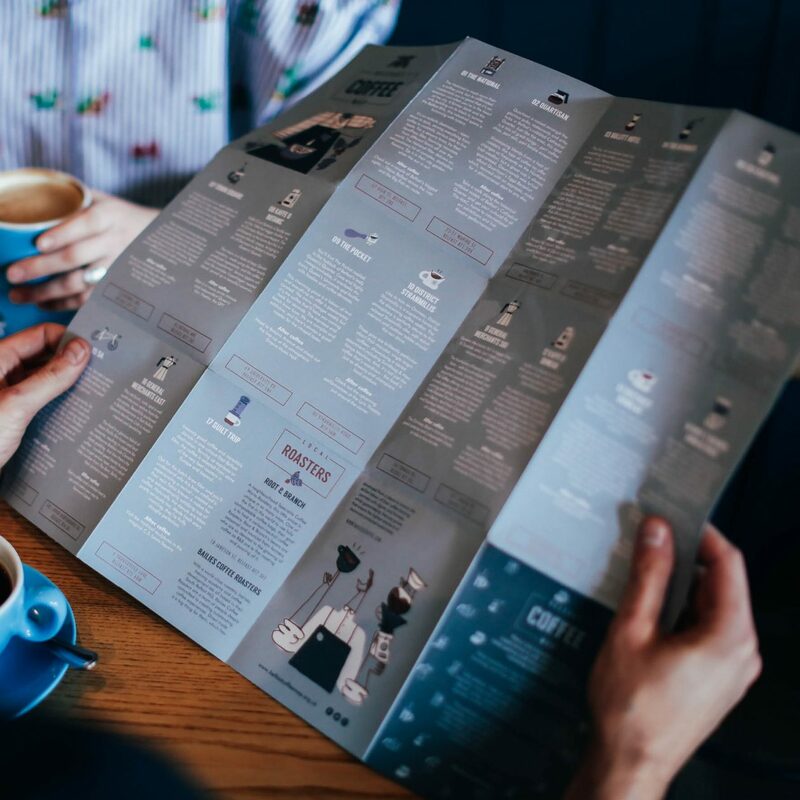 UsFolk’s In-house design team worked with David and the client to create something functional and beautiful. 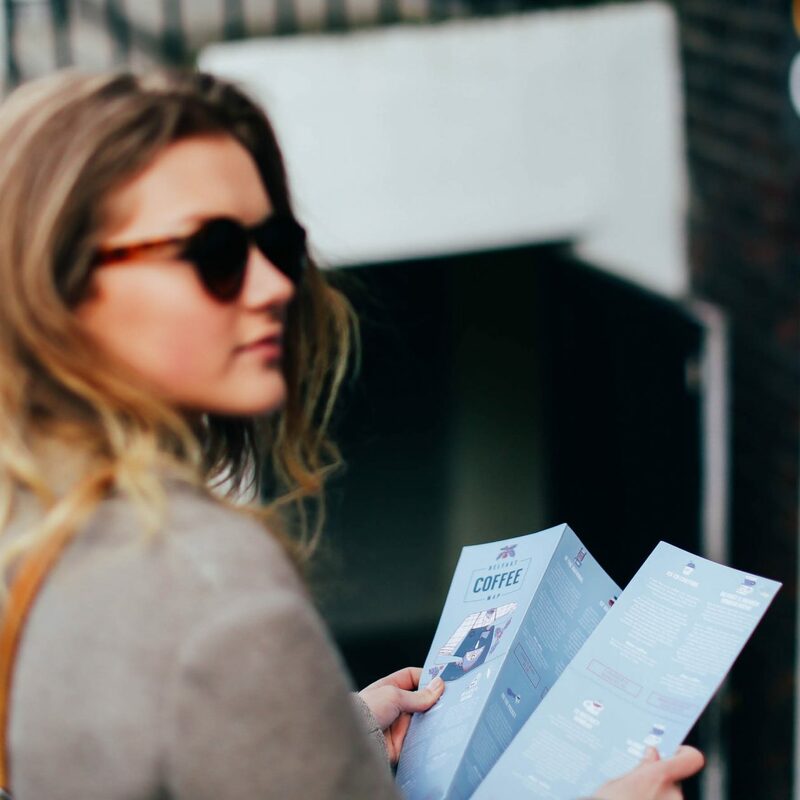 Pick one up at one of the 17 coffee houses featured on the map.